Today I challenged the Government to drop plans to increase the interest rate on student loans to an extortionate 6.1% and highlighted that students are already accruing an average of £5,800 in interest before they have even graduated. As the MP who represents more students than any other, this is an issue particularly important to me. In an emergency debate secured by the Labour Party on tuition fees, I strongly criticised the Government for planning for the interest rate on student loans to rise from 4.6% to 6.1%, which compares to base rate at 0.25% and average mortgages at less than 4%. The automatic rise is based on the formula of RPI+3%. Students are accruing an average of £5,800 in interest during their studies before they even have a chance to start repaying. The greatest burden is on students from poorest homes. The Minister must press the Chancellor to scrap the proposed rise and to review the formula. I also challenged other aspects of the Government’s approach to student finance, calling out their fraudulent behaviour in retrospectively changing the terms of repayment for student loans. I also made it very clear of the need for the Government to reinstate maintenance grants for students from lower income households. Spiralling student debt has become a central issue in politics. 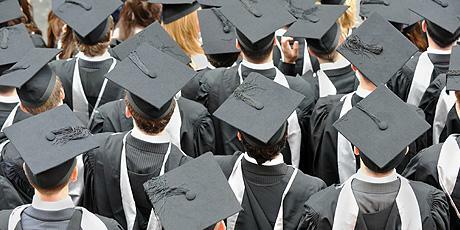 The recent election was the first to be held since students who have to pay £9,000 fees started graduating. Students haven’t forgotten that it was the Tory-led Coalition Government that tripled fees to £9000. They won’t forget that a Tory Government scrapped maintenance grants and are overseeing the rise in the interest rate on student loans. In every decision on student funding, the Government have got it wrong and hurt students. We need a fresh start and a new Government.